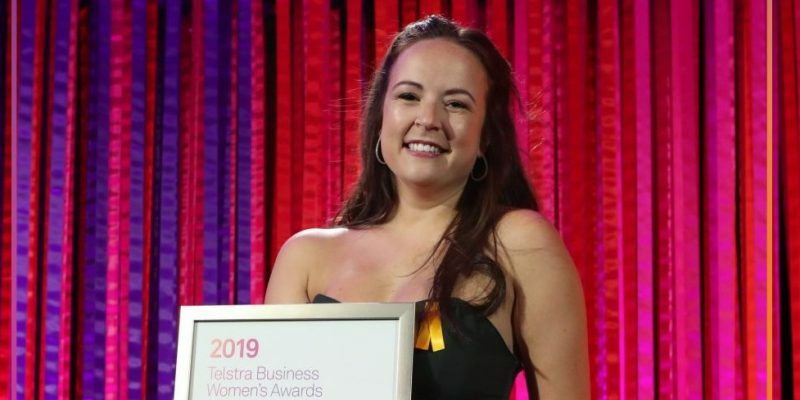 HorizonOne Recruitment is very excited, and proud to announce that our very own Marketing manager, Fiona Grimmer, has been crowned the ACT Telstra Business Women’s Emerging Leader for 2019 at the recent Telstra Business Women’s Awards. On the night, Fiona spoke to the crowd about the importance of mental health awareness, as well as her own personal journey with mental health issues and the impact this has had on her personal life and career. The open and honest speech was applauded by attendees, with many commenting it had brought a tear to their eye. You can view Fiona’s full acceptance speech below. Fiona will now represent the ACT, and HorizonOne, at the National finals later this month. Please join us in congratulating Fiona on this excellent achievement and wishing her the best of luck at the National finals!